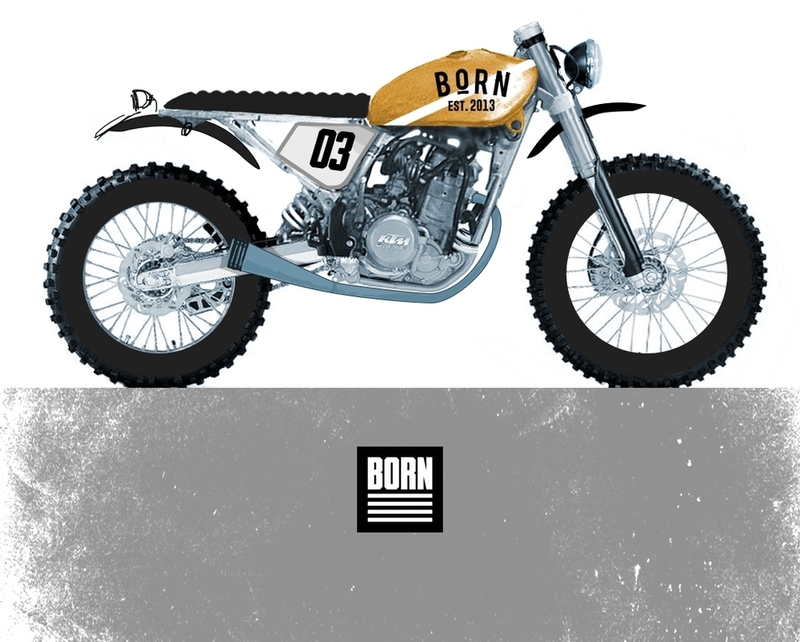 BORN EXC 350 — BORN Motor Co.
Well it's time to talk about what will be our next, one of a kind bike project, the donor a old Ktm EXC 2003, with 350cc cylinder and piston kit. This bike was forgotten in a garage for many years so we though its a good time to bring her to live again, check out this preliminar sketch of the look we'd like to reach. We'll keep posting about the construction process here and if you like to see some picture of the actual bike, can find it into our facebook.